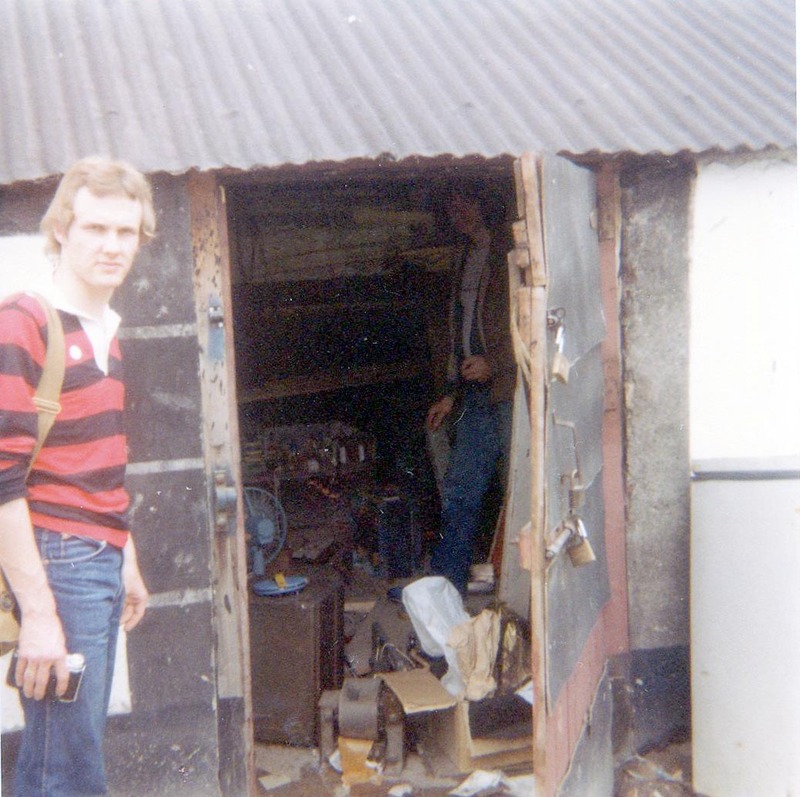 KELO used to operate from an attic in a small outhouse type place in a kind of a works yard in North Street, Swords, not far north of Dublin City. 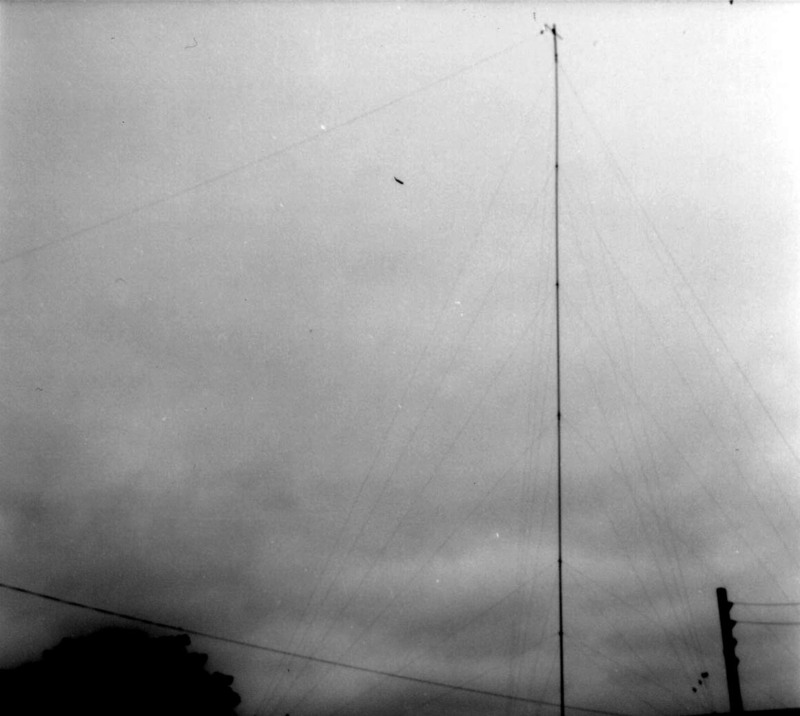 The frequency was 1233, 244m which used to power in to westerly parts of Scotland and England. 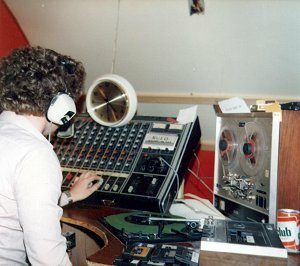 The station was noted on a recording made on 15th March 1981, saying that full seven day a week programmes would start a 7am the following morning with Derek Jones. 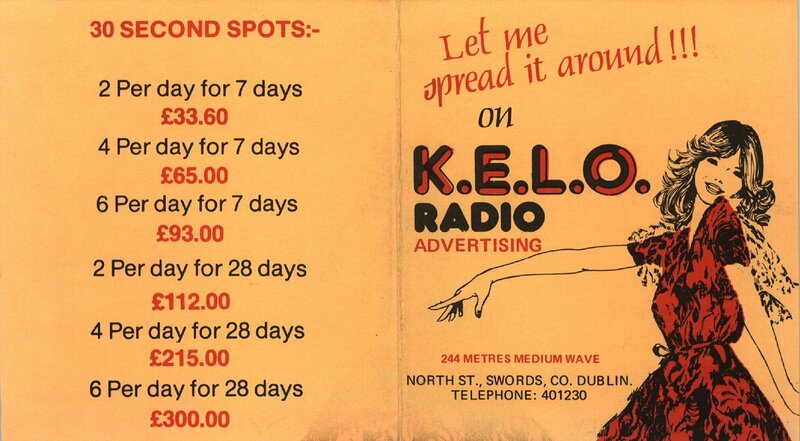 KELO did change frequency briefly to try 1566, but from memory, they returned a few days later to their old 244, due presumably to a much poorer coverage. 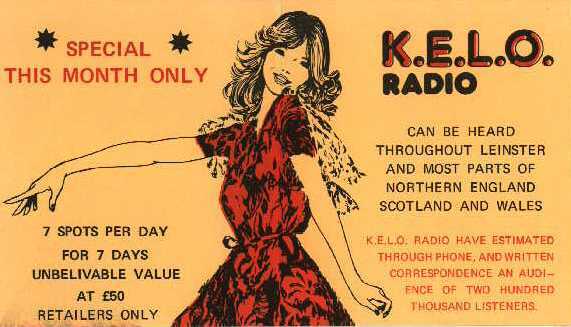 A weak signal was heard in Scotland. 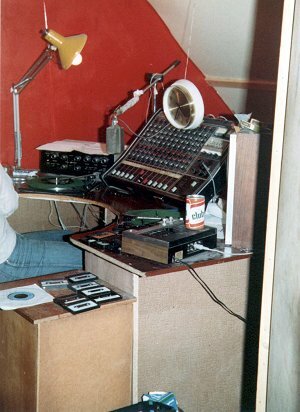 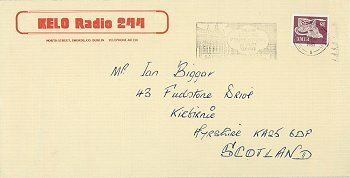 Recordings from 7th July 1981 announce that day as the final day on 244. 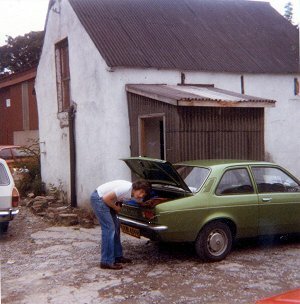 KELO mast. 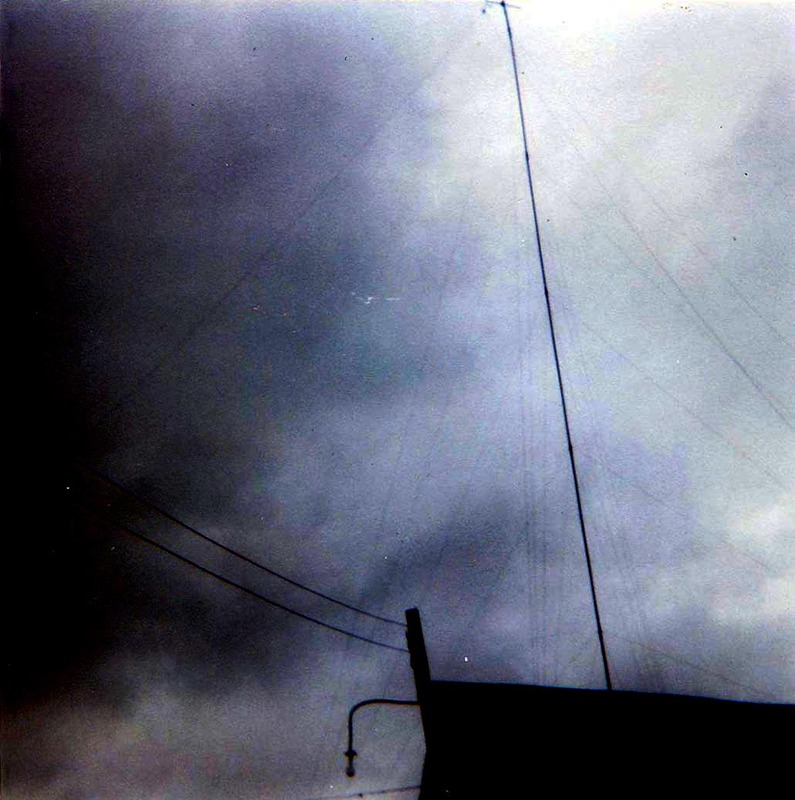 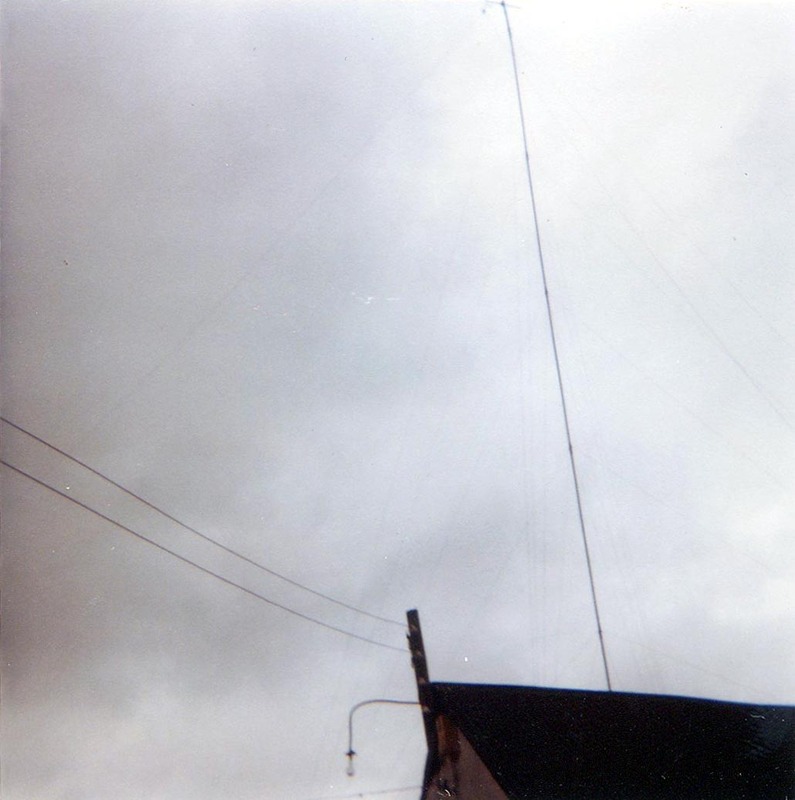 The original colour image was well discoloured, and best results were in black and white, with levels adjusted slightly to show the guy wires on the mast. On the right, Gary looks for something in the car boot, outside the KELO building. 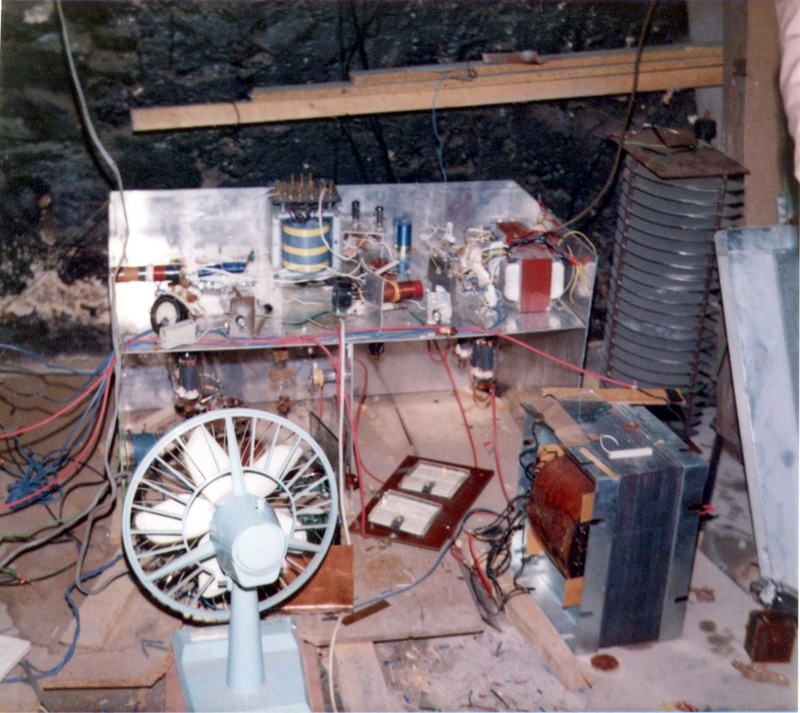 Left: The amazing KELO transmitter. The big modulation transformer is on the floor to the right. 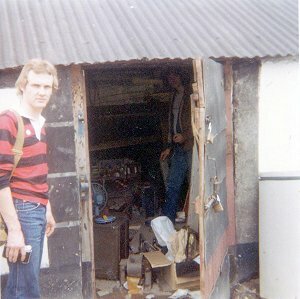 On the right is the transmitter shed at KELO, with Peter Gibney standing just inside. 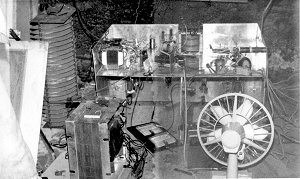 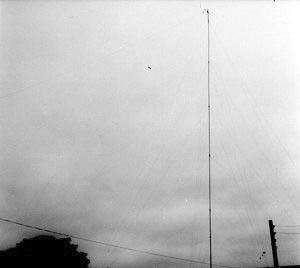 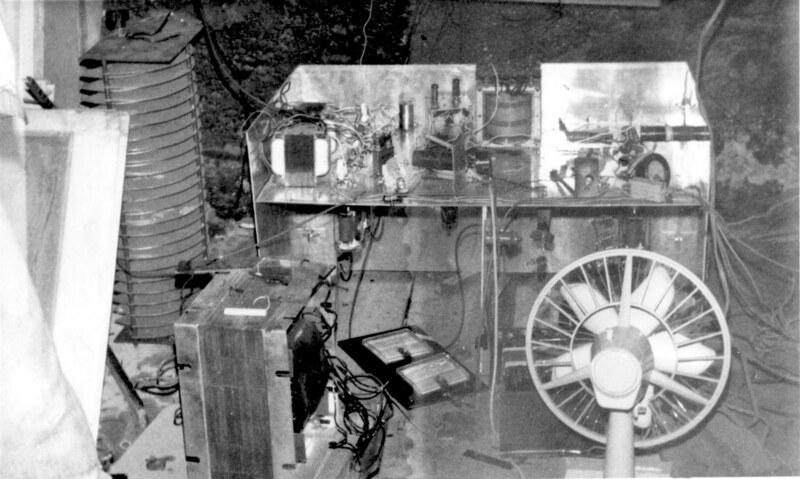 The transmitter from a black and white image, source unknown. 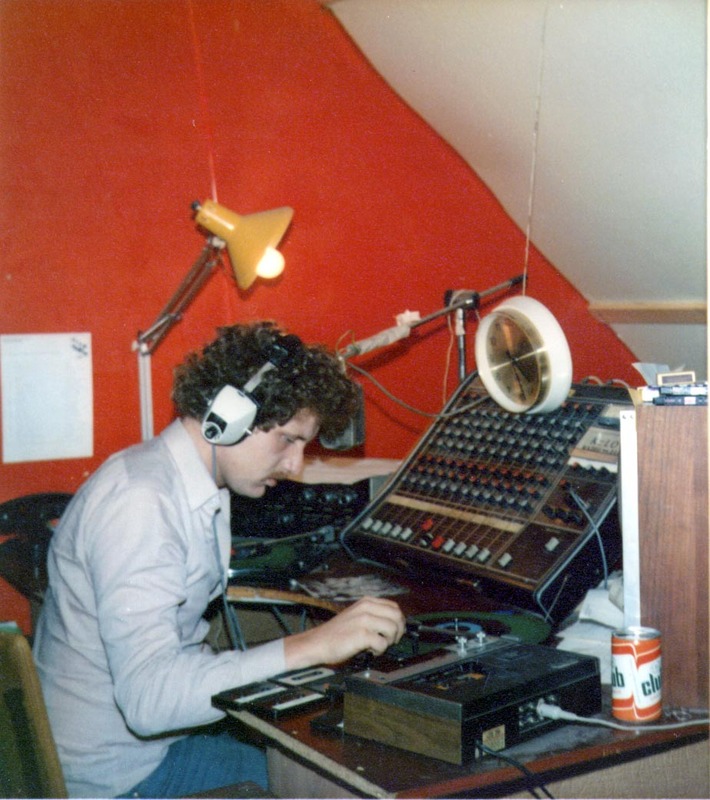 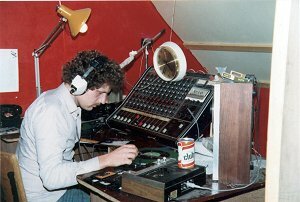 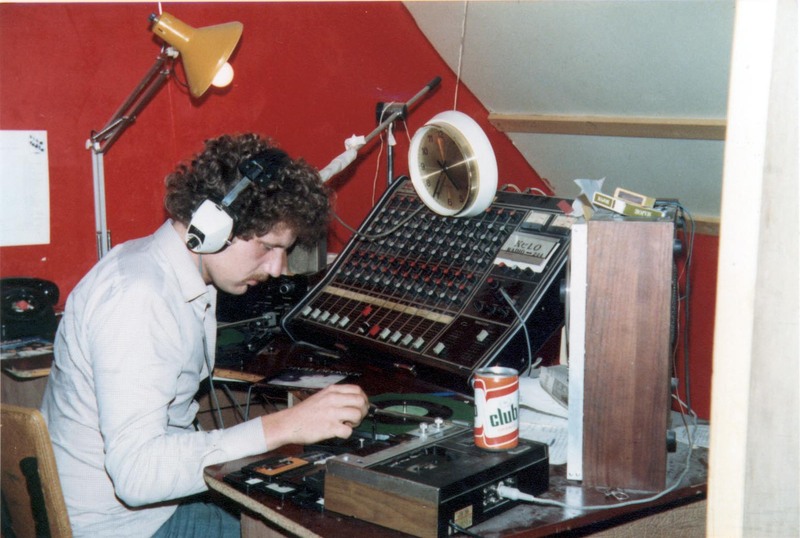 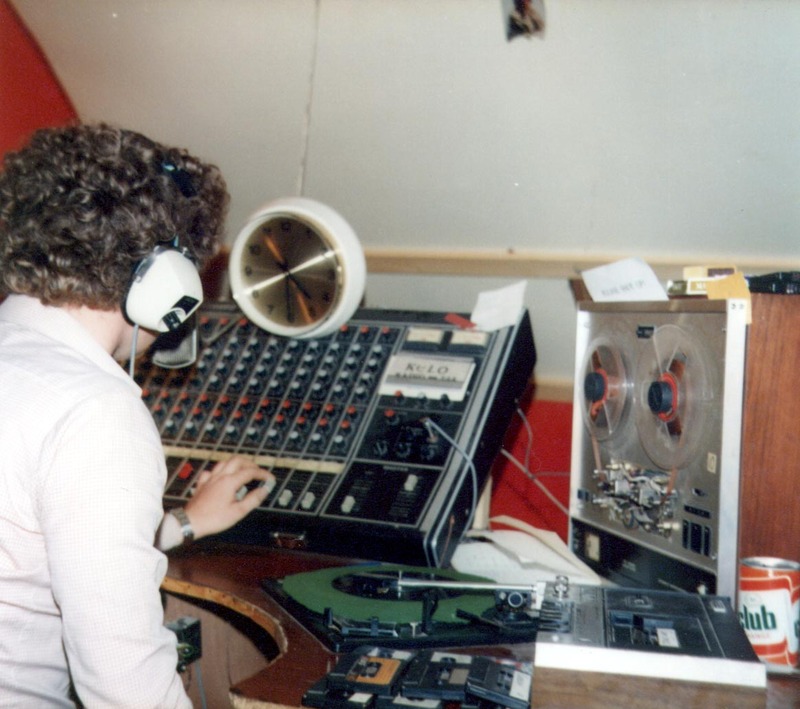 Right, the engineer who built the kit, Peter Gibney.This shot was taken a few years later while he worked at Sunshine Radio. 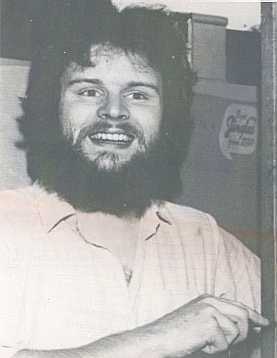 He was as of mid 1997, at 98FM in Dublin. KELO envelope from Ian B. 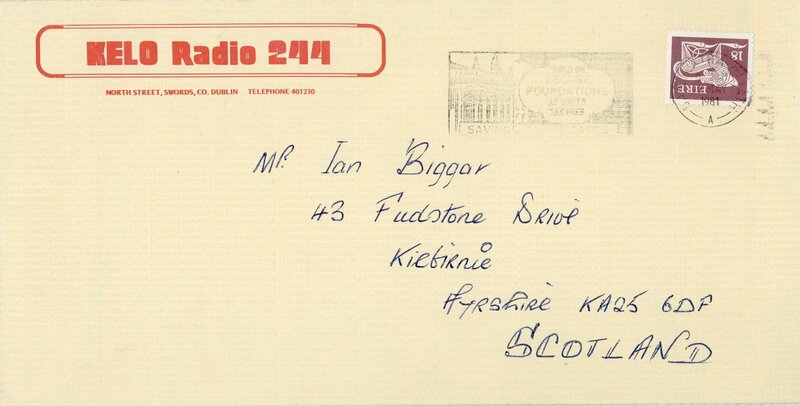 To read the very informative letter about KELO Ian was sent in 1981, click here to read.